Download tool now to get MediaCreationTool.exe that still lets you Upgrade this PC now or Create installation media for another PC. I realize I'm nitpicking here, but that Media Creation Tool would always name the download Windows.iso, no matter build number it was based on. This made it more difficult to determine whether you have the new bits or the old 10586 bits. Wonder no more. 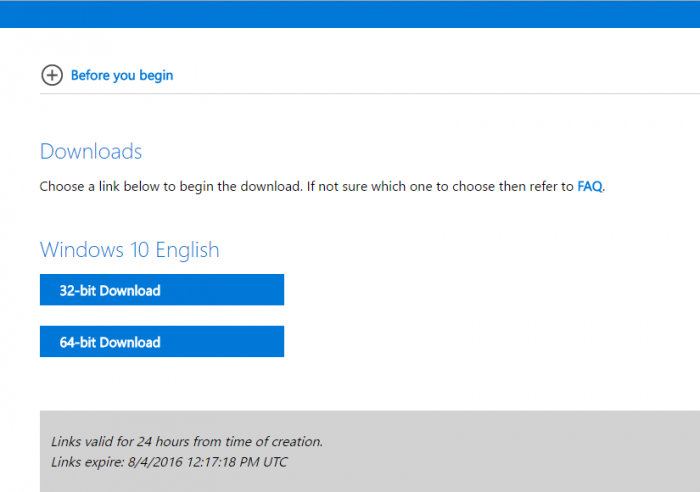 Microsoft has now made it even easier for home lab enthusiasts and IT Professionals to grab the exact Win10_1607_English_x64.iso (or localized variant) you need, with no authentication required! It's the little things. Step 2 - Select your edition and language. Step 3 - Select 64 or 32 bit version. Step 4 - Select the location you want to save your new, clearly-named ISO file. 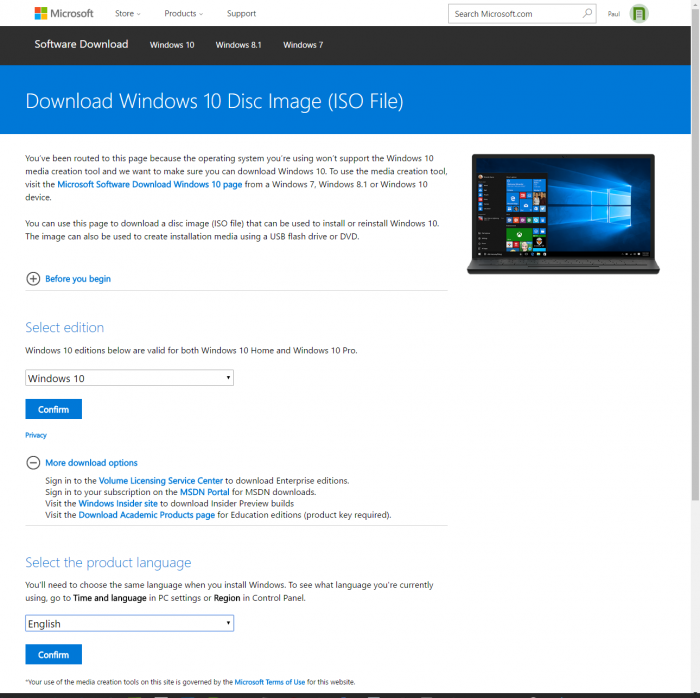 It's so helpful that they've completely decoupled licensing from the ability to download the ISO that's updated to the newly released version. This ISO will undoubtedly be handy for folks going through updating the OEM build process too. Once you have this file, of course you'll be using it for installs on home-built family PCs, Hyper-V and VMware VMs, etc., and you can still transform this ISO into a bootable USB drive with Rufus, without resorting to the Media Creation Tool downloading it all over again. If you have a fat pipe to your server, you may want to just mount this ISO to your remote system using iKVM, then boot from that virtual CD-ROM device. This is a way to skip bothering with using Rufus to create bootable USB media. And for many recent SuperServer owners, soon you won't need Java to run iKVM, it's going HTML5!